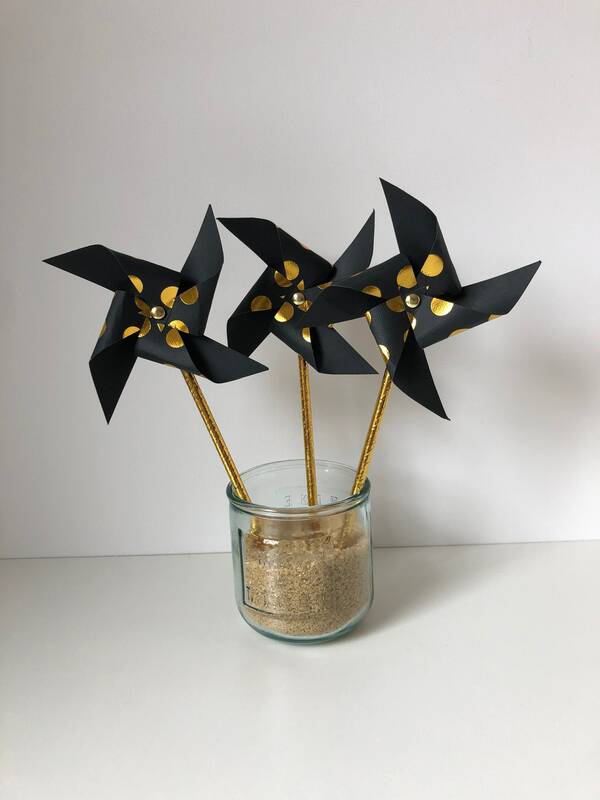 Set of 3 windmills in black and gold colors. Ideal for all occasions to bring a touch of decoration day J! 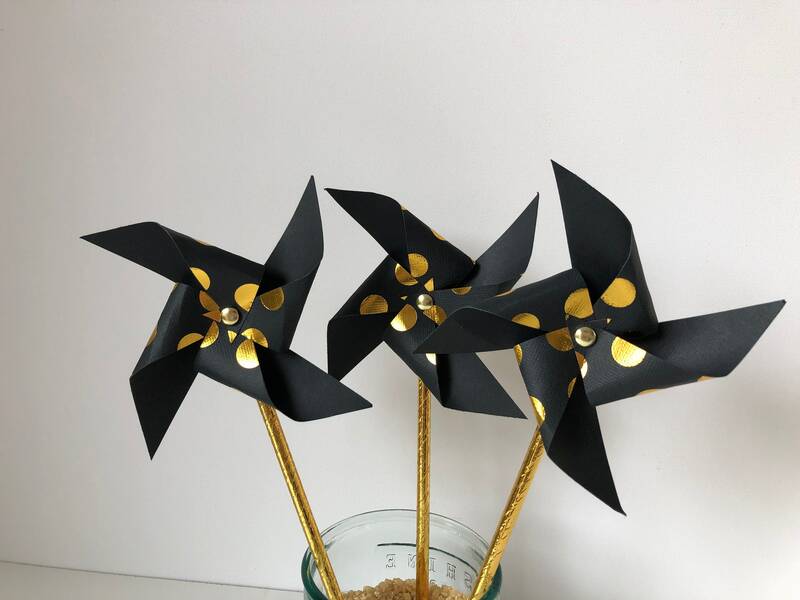 3 pinwheels wind diameter 14cm, for a deco chic and stylish!